It took me a while to write this race report because it took a while to process the whole experience. Personally I felt that I had a demanding 2018 race schedule considering the time available to train. To say it’s been a challenge to prepare for 2 Ironman events in 6 months would be a massive understatement. My main goal was to race well in Lanzarote and perhaps qualify for Kona. Delighted with 1st in age category and Kona bound. I decided to give myself the opportunity to acclimatize to the heat and humidity and arrived 11 days prior to the race. 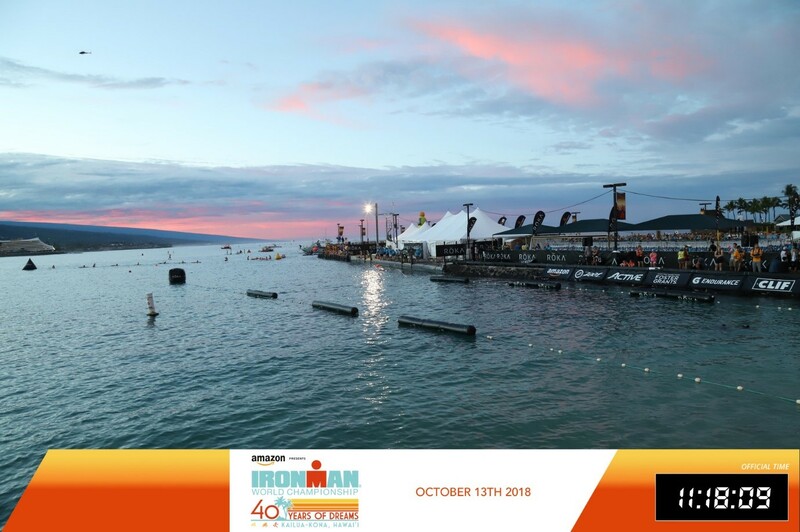 Sean and I flew out following 25hrs of travelling, and arriving in Kona was a shock. I waited for my bike and luggage on the carousel I had to lie down on the bench at the airport, perspiring heavily in 35 degrees temp and humidity of 90%. Panic already began to set in! There was a sense of anticipation in the air and as a first timer it was truly exhilarating. We soaked up all that was on offer, brunched, coffeed and became beach bums for the week. I was lucky enough to have met with other Irish competitors especially the infamous Owen Martin, who was very giving with his wealth of experience. I believe he has qualified for his 10th Kona in 2019. Pre-race activities helped build the excitement leading up to the race such as the parade of nations and the underpants run. Throw Emer, Neil, Eunan and Edie into the mix and we had a support team extraordinaire. 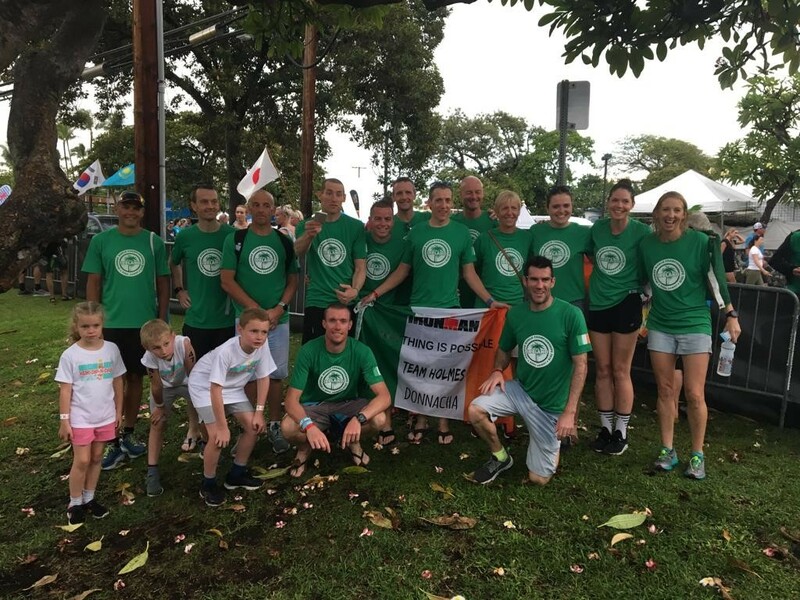 Eunan had competed twice in Kona some years ago and his coaching and preparation was supportive to help execute a good race plan. I quickly became acutely aware just how tough it was going to be to race in hostile conditions, especially considering that in a training run I nearly fainted in the furnace that is the Energy Lab. My race plan changed significantly and now the name of the game was survival. Race morning came around pretty quickly, we navigated the streets at 4.30am and entered the tent to get our temporary tattoo race numbers, then passed through the area where they weigh the athletes. I checked my bike, did a last check on tyres and sorted nutrition on bike, no dramas. I casually walked to the pro’s transition area to observe their pre-race preparation and faffing. Helicopters circled overhead at 7.20am it was time to wade out to the start line truly appreciating how incredible the experience was. I felt like I was treading water for 10mins, positioned myself in the middle of the women but a couple of rows back. I heard the Hawaiian drums beating in the background and then Boom, the canon went off (I get chills even when I write this). In other races that I have done there is usually quite a bit of jostling at the start and it takes quite a while for it to smooth out. I found the first 400m to be very aggressive and didn’t obviously have the buoyancy of a wetsuit to keep me afloat when someone attempted to swim over me. At the turnaround point I found some space but failed to find good feet for the return leg. I increased my kicking for the last 150m to loosen the legs for the bike leg. I am an average swimmer but worked consistently in the pool and developed some speed and endurance however for me this doesn’t reflect on my open water times, so when I came up the ramp and saw clock at 1:10 I thought…meh. The sudden loss of the breeze and the sheltered nature of the first mile caused my temperature to soar. Felt really uncomfortable from the start, being honest it was one long hard slog. At the turnaround point I began to feel fairly unwell and became intermittently dizzy for a while, on reflection I had started getting heat exhaustion. It was tough in 35 degree heat, no shade and no supporters. I walked through every aid station and consumed every kind of liquid available and trotted off in search of the next one, my mantra then was keep moving forward. Another boost coming back into town was Eunan shouting much needed words of encouragement and I began to hear the crowds roaring, my emotions switched from misery to elation. 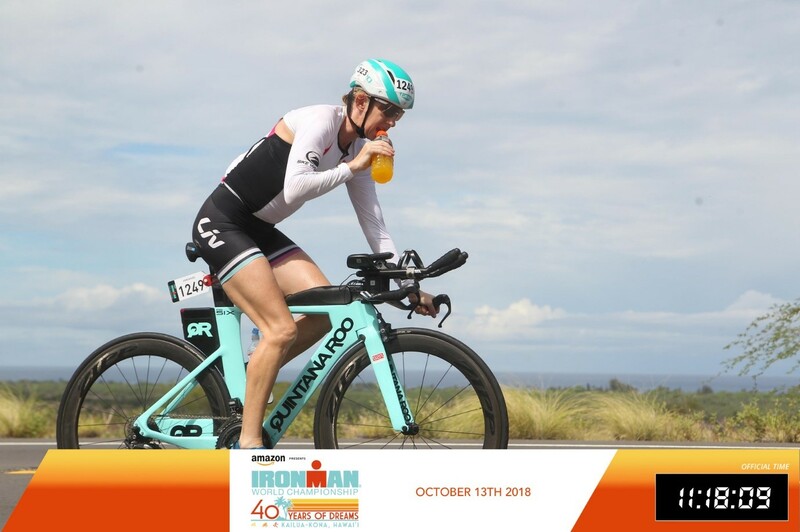 I spotted Emer (sister) on Alii Drive and I snatched the Irish flag held it high and managed to enjoy every last moment of that awesome finishing chute. I saved the staggering for the other side of the finish line. 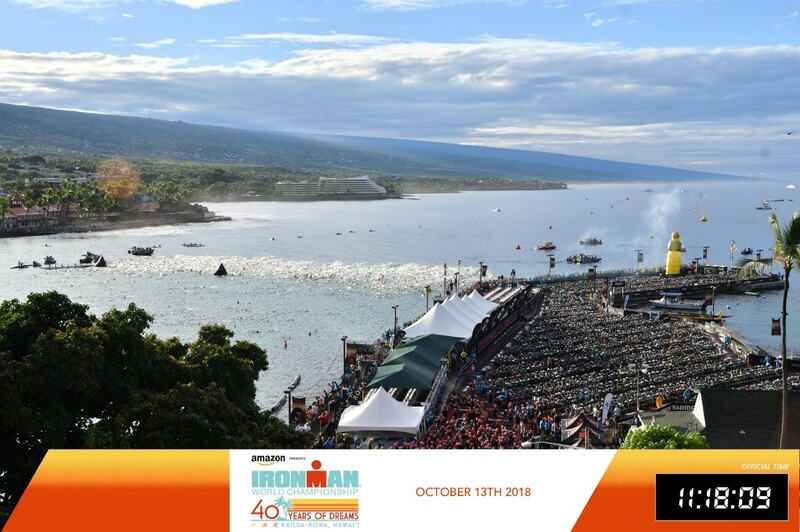 In hindsight, Kona isn’t about the race itself but the whole show, I feel so incredibly appreciative that I got the opportunity to race on the world stage. 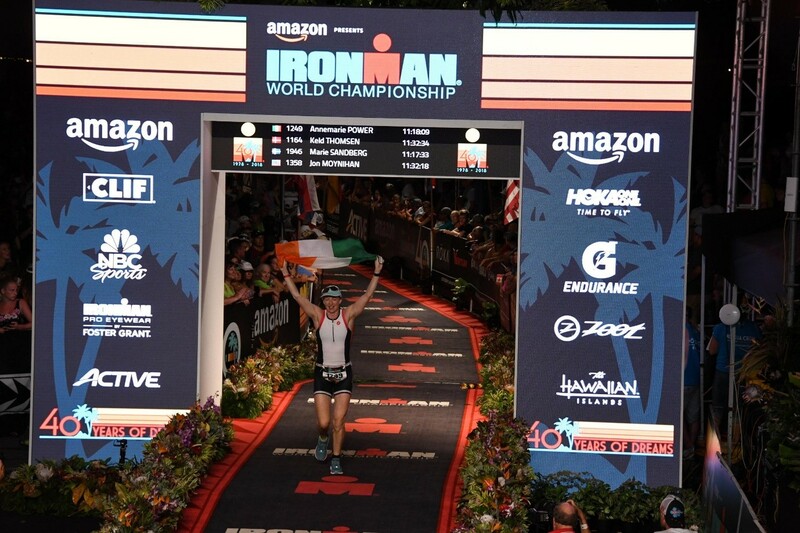 Following Kona I took a long break from training and don’t have any plans to do another Ironman. The hardest part of the IM training for me personally was being tired all the time, no chance to rest. You come home from a 5-6hr bike ride and you’re straight back into being mum. However I had the experience of a lifetime and for that I am truly grateful.